Dr. Choi is a passionate believer in providing the most effective treatments possible through integration of Eastern and Western medicine. Raised in Southern California, Korea and Japan, Dr. Choi began her journey towards Traditional Oriental Medicine as a Pre-Med student at the prestigious Hanyang University in Seoul, Korea. After seeing how Western medicine could not provide answers to seemingly basic ailments, Dr. Choi realized that humans do have the innate ability to heal themselves—a basic tenet of Traditional Chinese Medicine. She moved back to California and continued her education at Emperor’s College in Santa Monica. After completing her Master’s Degree in Traditional Chinese medicine, Dr. Choi enrolled in the Doctorate Program at American College of Traditional Chinese Medicine school in San Francisco. Dr. Choi received her Doctorate Degree specializing in Pain management and Women’s Health. As part of her training, she completed her residency at Yue Yang Hospital in Shanghai, China. Today, Dr. Choi has cultivated her abilities as a practitioner of Chinese medicine through disciplined study and intense clinical training. Dr. Choi uses multiple modalities and techniques in her personal care including Chinese herbs and remedies, cupping, electro stimulation, and moxabustion. But most importantly, she brings a rare energy and determination to helping her patients receive the best health care possible. 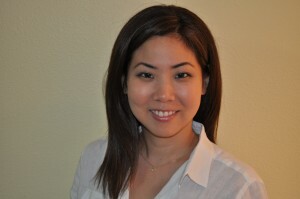 In her spare time Dr. Choi enjoys yoga, cycling and teeing off at the local driving range!